Clothing/Jewelry Description A white t-shirt, faded black jeans and white sneakers. Distinguishing Characteristics Caucasian female. Blonde hair, green eyes. Andrea's ears are pierced. Her middle name is given as "Dianne" by some agencies. 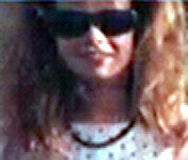 Andrea was last seen at her family's residence at Royale Apartments at the corner of Colonial Drive and Mayflower Avenue in Fort Walton Beach, Florida, which she shared with her mother and older sister. Her mother and sister left, asking her to vacuum while they were gone. When Andrea's family returned to their residence two hours later, they found it unlocked with no indication of forced entry. Andrea's purse, clothes, makeup and all other personal belongings were undisturbed inside. The vacuum cleaner standing upright in the living room. Agencies classify Andrea's case as that of a runaway or a possible non-family abduction. The circumstances surrounding her disappearance remain unclear; there is very little evidence as to her fate. Authorities originally thought she was a runaway, but now they believe other forces may have been at work in her disappearance. Andrea had had to change schools and move to a new apartment and she was unhappy about this, which was part of the reason investigators believed she had run away. She also gotten into trouble with the law; she acted as a lookout for other children while they stole money out of vehicles in a restaurant parking lot. She was sentenced to community service for her role in the offense, and her sister stated she wasn't worried about it. All the charges against her have now been voided. Andrea attended Prior Middle School in 1990, and was a good student. Her hobbies at the time of her disappearance included camping, tennis, dancing and going to the beach, and she was very spiritual from a young age. She hasn't had any contact with her family or friends since she went missing. Her family never believed she had run away. Police have investigated the possibility that Andrea's disappearance was connected to Mark Riebe and William Alex Wells III, who are suspected of having kidnapped and murdered a woman in Santa Rosa, Florida, in 1989. So far they have not found any link between Andrea and the suspects, but the possibility has not been ruled out. Investigators believe Andrea remained in the area for a short time after she disappeared, but if she was on the streets she probably did not survive long. Many rumors have circulated about her disappearance, but none have been substantiated. Andrea's mother now lives in South Carolina. She remains missing and her case is unsolved. Updated 8 times since October 12, 2004. Last updated August 5, 2011; age-progression updated.